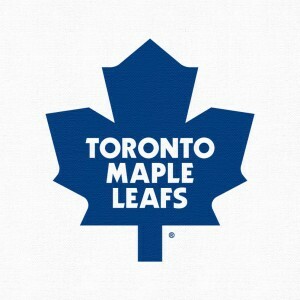 For previous installments of this series, please see Draft Schmaft: The Toronto Maple Leafs in the NHL Entry Draft First Round (I), Part II 1968-70, Part III 1971-72, Part IV 1973 and Part V 1974-77. The Leafs of 1977-78 were positioning themselves as an up-and-coming team. First round pick in 1970 Darryl Sittler finished the season 3rd in league scoring, while 1973 first rounder Lanny McDonald was 10th. The team had a good season, and on March 12, 1978 sat 38-19-10. The next day, Jim Gregory made a trade with Detroit, and the Leafs won only 3 of the remaining 13 games. The Leafs managed a surprising playoff run, eliminating the Islanders before being swept in the semi-finals by the Habs, but it would prove to be the last success of any note for the foreseeable future. In past drafts Jim Gregory had been able to engineer a couple of trades that were at worst, a wash. But, the big trade involving 1978 and 1980 draft picks was really not a good deal for Toronto. In the straight player-for-player aspect there are differing views. Thompson was a speedy winger who’d managed to score 43 goals on a line with Sittler and McDonald. At the time of the trade, he’d scored 126 goals and 245 points in 365 games for Toronto. However, he was seeing little ice time after returning from a broken arm, and did not seem to fit into coach Roger Neilson’s defensive scheme. Maloney, on the other hand, wasn’t even allowed to play in Toronto for a couple years after he had pummeled Leaf Brian Glennie during a November 5, 1975 game. While not as offensively productive as Thompson, Maloney chipped in a few goals and was gritty, routinely over 150 penalty minutes. Many credit Maloney’s grit and leadership as key to the series win over the Islanders. However, as the Leafs were swept by Montreal in the semis, some wonder if perhaps Thompson’s offense could have served the team better. Thompson had a 34-goal season with Detroit before retiring in 1981. Maloney would score 65 goals, 84 assists and have over 400 penalty minutes for Toronto before retiring in 1982. He was offered an assistant coaching job, and later made Head Coach. Some claim Maloney got these jobs because Ballard was still paying his playing contract, so he simply stuck Maloney in the first job open. Maloney would coach only 2 seasons, posting a pathetic point percentage of 0.328 before moving on to coach the Winnipeg Jets. What is important to note in this deal is that the Leafs sent their first and second round pick, plus a further first round pick, to sweeten the deal, and in return got only a second rounder back. Verdict: Clearly, the Leafs overpaid for the return. The only saving grace is that neither of Brent Peterson or Al Jensen became stars in the NHL. Detroit really didn’t benefit from the players they drafted. That said, Brent Peterson played over 600 NHL games. Jensen had a 95-53-18 career record in the NHL with 8 shutouts, mostly for the Capitals. We’ll discuss Blaisdell and Muni in the 1980 draft. After Peterson, players drafted included Steve Tambellini, Al Secord, Dave Hunter and Steve Payne. Thompson for Maloney would likely have been a fair deal. Maloney’s toughness did provide some short-term help, however, had the Leafs been able to keep their draft pick and get a Tambellini or Hunter, they could have been a much better team long-term. In what is known as one of the deepest drafts ever, the Leafs chose to draft a tough forward from Brandon, Laurie Boschman, who’d had 200+ PIM twice in the WHL. In 187 Leaf games, he scored 39 goals and 109 points, and managed 406 penalty minutes. However, Boschman contracted mononucleiosis, and missed time recovering. Further, Harold Ballard was particularly hard on him, often speculating his Christian bleiefs were making him a soft player, and constantly threatening to send him to the minors. On March 9, 1982, he was sent to Edmonton for Walt Poddubny and Phil Drouillard. The bulk of Boschman’s career was spent with Winnipeg, where he scored 25 or more goals 4 times. Verdict: The 1979 draft being extremely deep, the Leafs drafted no one who played 100 NHL games other than Boschman. Having their second round pick, they missed out on Messier, Carbonneau, Lindbergh, Ruff, Goulet… a number of players. Still, Laurie Boschman was a good, tough forward, who played over 1000 NHL games, is one of a handful of players to post 500 points and over 2000 penalty minutes. As so often happened for Toronto, the return on the trade was not what it could have been. Drouillard played no NHL games. Poddubny scored 28 goals in his first full season with Toronto, but injuries slowed him and he too was labelled soft by management. He was traded (after which he had seasons of 87, 88 and 75 points) for Mike Allison. Toronto got 86 games and 26 points from Allison, who was traded to LA for Sean McKenna, who added only 48 games to Leaf history. The Leafs’ first pick of 1980 was sent to the Red Wings as part of the Thompson-Maloney trade. Detroit used the pick to take Mike Blaisdell who posted a 55 point and a 41 point season with Detroit, but would only have 58 points over 7 more seasons, including 27 games over 2 seasons with the Leafs from 1987-89. The Leafs ended up with the 25 selection in the 1980 draft, taking Craig Muni. Verdict: Muni played only 19 Leaf games over 4 seasons, posting 2 assists before leaving via free agency. He played another 800 NHL games as a 5-7th defenceman, a good hitter, but hampered by his skating. By the late 1970s, the Leafs had acquired some very good NHL players, but it was evident that friction between players and management, as well as overall poor decisions by management, were to spell the decline of the franchise into the 1980s. The Leafs could have consisted of 3 top lines of Sittler-McDonald-Kehoe, Boschman-Anderson-Thompson and Boutette-Ferguson-Williams, with a blueline including Salming, Turnbull, Quenneville and Carlyle, with an up and coming Mike Palmateer in net, a lineup that likely would have been a consistent playoff team and possible contender. Instead, management improperly evaluated players and situations, trading draft picks and young players away for relatively nothing.